The Itching is a short horror film about two girlfriends whose cozy social life turns ugly when one of them contracts a mysterious illness. Beginning with a tiny itch, she rips a ragged hole in her own leg, a pooling landscape in which some terrible urge is reflected. 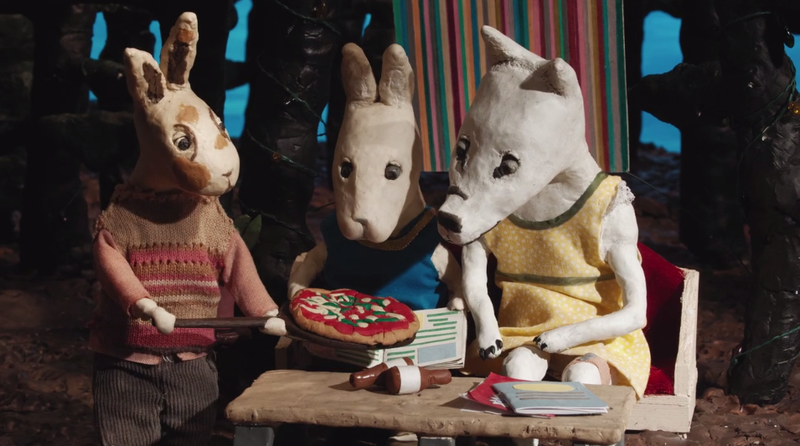 I won’t reveal any more of the plot, but I should mention that the film’s protagonists are humanized woodland creatures (a wolf and a rabbit) sculpted out of Plasticine and animated. The refusal to be one thing or another, as it turns out, is key to the film’s genius. 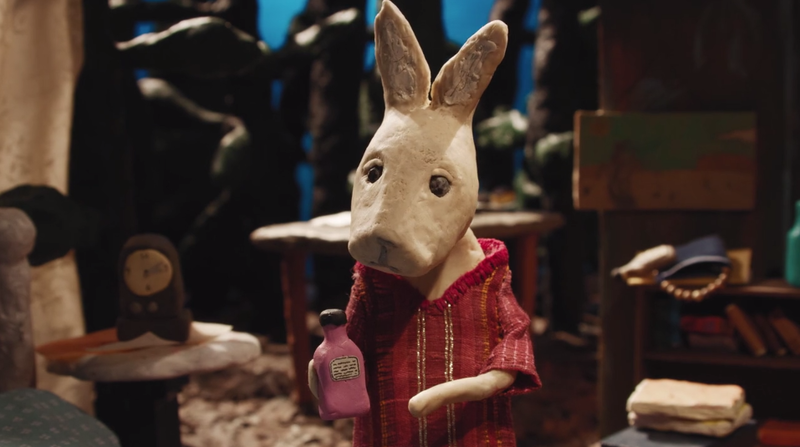 The animation itself is tightly crafted by the team of Dianne Bellino (who shoots and edits, writes and directs) and Adam Davies (who takes main animation duties, as well as assisting in the shoot and edit). The animals are carefully lit and shot but still proudly bear the evidence of the human hand. In stillness, they take on a mute, taxidermied quality that is played off perfectly against their wordless voices and the horrible and fascinating behavior of the lady wolf’s wound. 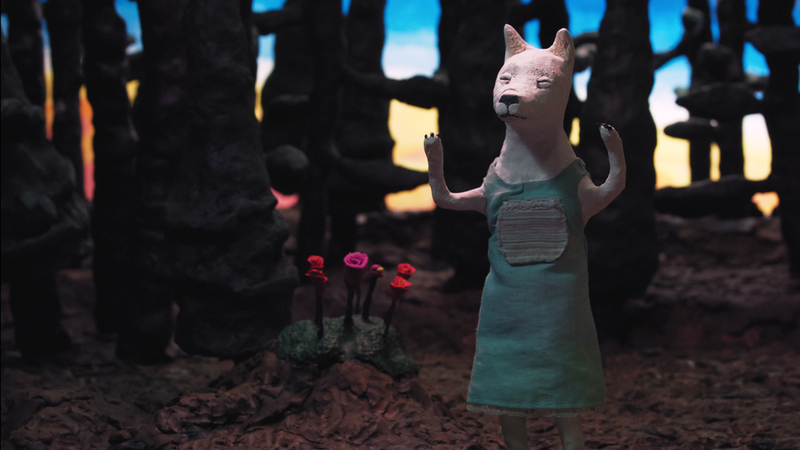 As it mixes the uncanny physicality of maestro Jan Švankmajer’s stop-motion surrealism with the lo-fi animal mysticism of something like Helen Hill’s Scratch and Crow, the intense specificity of the film’s concept allows its story to communicate very precisely, and it turns out it has quite a lot to say: about the maddening nature of social interaction, about how friendships endure through radical personal differences, and about what it costs–and what it’s worth–to swallow a part of yourself that may be irrepressible. 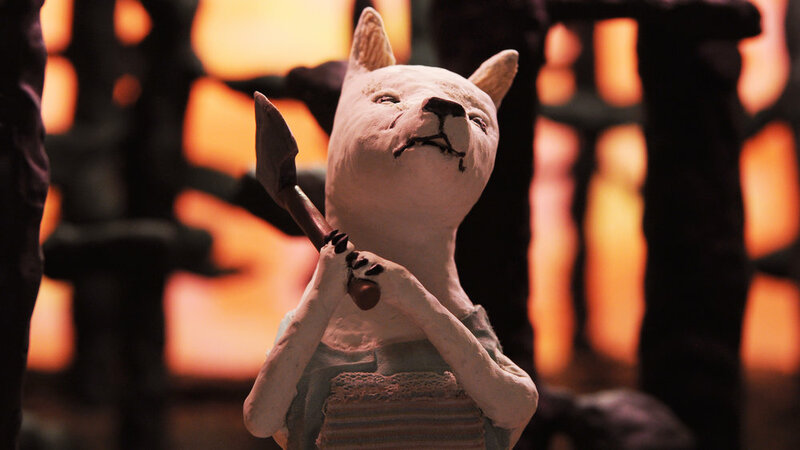 (15 minutes) Official Selection: Sundance 2016.